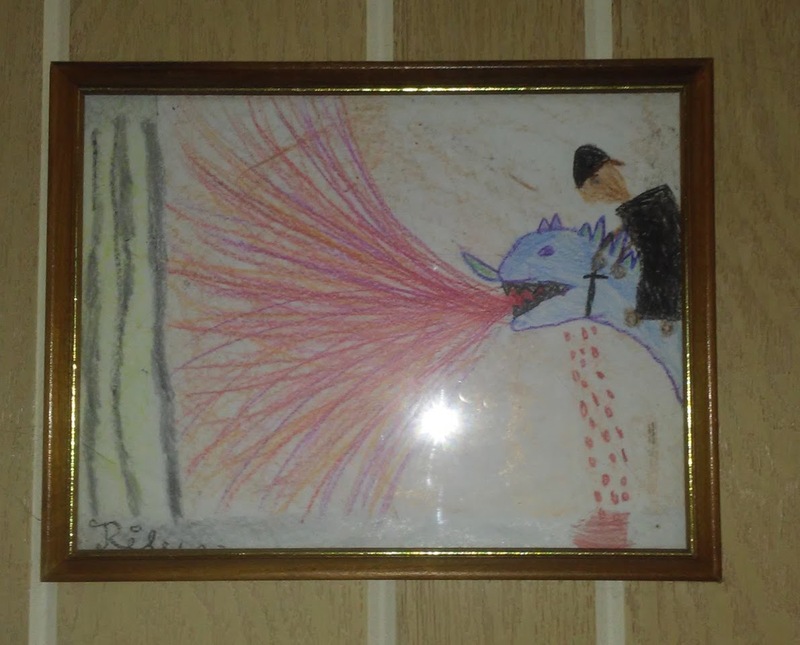 Back when my daughter was in second grade, she drew this for me — a dragon slayer! The vertical bars on the left, she explained, were to show that this is in a dungeon. She later told my wife that in hindsight, maybe she overdid it with the blood. This drawing is now framed in the basement (sorry about the flash glare) where all the gaming takes place.